Hi Kayrn and Duane. 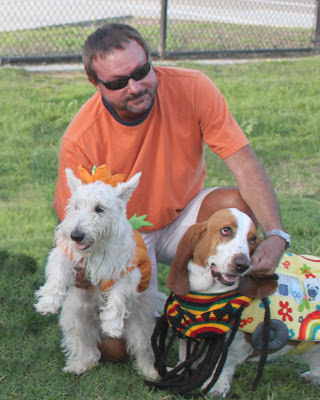 Here's a couple of new pics of Duncan taken at the dog park Halloween party. He was "Pumpkin Duncan Doughnut", but the mylar doughnut balloon I had attached to his collar only lasted about 3 minutes. 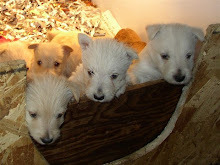 Hope all is well with the new batch of pups and Duncan's sister, Catrina. I may be interested in one of her pups in a few years.